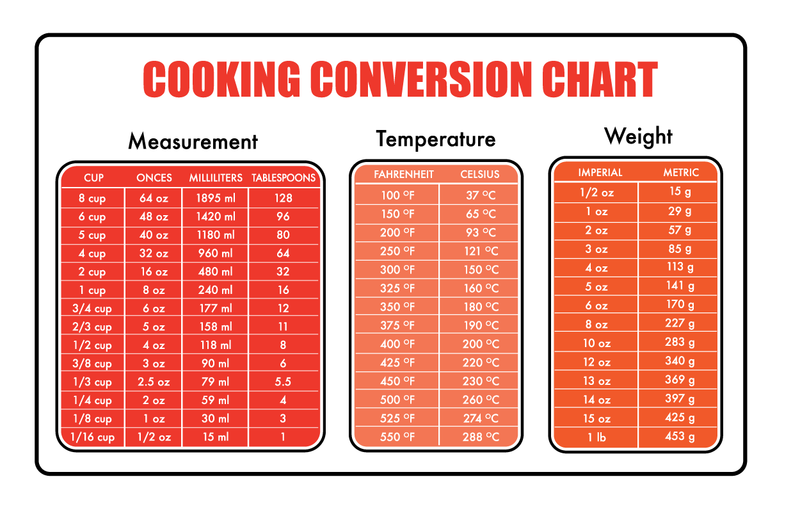 Here is a convenient conversion chart. You can also click on this image for a larger version. And we have also included HTML table versions of the data below.